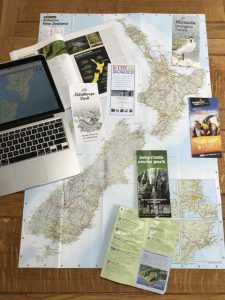 I love New Zealand and I love travelling around it with my family but the planning stage can be very time consuming. Let me help you by creating an itinerary that’s just for YOU and YOUR family. Whether it’s a long weekend or a couple of months, if you’re taking the kids, I know all the great places to take them! places to visit from playgrounds to fishing spots and everything in between! All of what I put together for you will be based on what other families have tried and tested and loved BUT it will be just for you and your family – I don’t have a selection of pre-made itineraries and I don’t take payments from businesses to promote their attraction. I will get to know you and your family through a quick survey before I make suggestions for your next trip. Prices start from $25. Whether you have your flights booked and arrival/departure destinations already organised or not, please send me an email and I’ll give you a quote for your trip.